The mediation shall be held and conducted according to this Agreement to Mediate (“Agreement”). The Mediator’s standard Terms and Conditions as specified at http://swalkermediation.com/terms-and-conditions are incorporated into this Agreement. Where there is any conflict between them and this Agreement, the terms of this Agreement shall prevail. The mediation meeting itself shall be referred to throughout this agreement as the mediation (“Mediation”). Any settlement reached in the Mediation will not be legally binding until it has been reduced to writing and signed by or on behalf of the Parties. The Parties agree that Stephen Walker of 25 Townshend Road Richmond Surrey TW9 1XH, Tel 0208 948 1797 OR 07770 875681, e-mail Stephen@swalkermediation.com will be the Mediator. 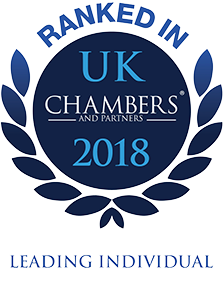 The Parties recognise that the Mediator is an independent contractor, there is no contract between the Parties and any organisation to which the Mediator may be a consultant and no duty of care is owed by any such organisation to the Parties. The Parties confirm that they shall not bring any claim against the Mediator for breach of contract, breach of duty or negligence unless the Mediator has acted dishonestly towards them. The mediation has been scheduled for an initial period of up to [4/8] hours (“Scheduled Period”) starting at _________on _______________ at the offices of [_____________________________________________] . All sums referred to in this Agreement are exclusive of Value Added Tax. the additional sum of £ .00 plus VAT for each hour (or part thereof) the Mediation exceeds the Scheduled Period up to 12 midnight and at £ 800 plus VAT for each hour (or part thereof) after then. The mediation fee shall be borne equally between the Parties, unless as a result of a mediated settlement, it is agreed otherwise. This provision shall not disentitle any party to recover the costs of the Mediation in any subsequent assessment of costs whether or not there has been a concluded settlement of the dispute which is the subject of the Mediation. If the Mediation exceeds the Scheduled Period, the parties acknowledge and agree that any additional time incurred is not included in the deposit amount and that such additional time will be charged for. The Parties are required to inform the Mediator, either before or during the course of the mediation session, if they do not wish to exceed the Scheduled Period. Where a party is publicly funded, the legal representative acknowledges that authority has been obtained from the Legal Services Commission in relation to the Mediation of this dispute, and that such authority will cover the full cost of the mediation. Incidental expenses (Mediator’s travel costs, refreshments etc) and disbursements will be charged at cost unless the otherwise agreed in advance. The Parties shall pay all invoices within 7 days of receipt by cheque made payable to S M Walker or by electronic transfer to the account shown on the invoice and in any case before the date of the Mediation. Interest at the prevailing judgment rate will be charged on overdue amounts. A party does not require legal representatives to attend the Mediation, but is free to choose whatever representation it wishes. A party who is not legally represented is advised to obtain independent legal advice before, during and after the Mediation and prior to finalising any agreement reached pursuant to the Mediation. The Parties recognise that the Mediator does not offer legal advice or act as a legal advisor for any of the parties of the Mediation nor will he analyse or protect any party’s position or rights. The Mediator may hold private sessions with one party at a time. These private sessions are designed to improve the Mediator’s understanding of the party’s position and to facilitate the Mediator in expressing each party’s viewpoint to the other side. Information gained by the Mediator through such a session is confidential unless (a) it is in any event publicly available or (b) the Mediator is authorised by that party to disclose it. 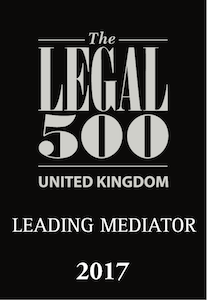 The Parties recognise that the Mediation is for the purpose of attempting to achieve a negotiated settlement and as such all information provided during the Mediation is without prejudice and will be inadmissible in any litigation or arbitration of the dispute. Evidence, which is otherwise admissible, shall not be rendered inadmissible as a result of its use in the Mediation. The Parties will not issue a witness summons or otherwise require the Mediator or any other person attending the Mediation under the auspices of the Mediator to testify or produce records, notes or any other information or material whatsoever in any future or continuing proceedings. All documents, statements, information and other material produced prior to or during the course of the Mediation, save to the extent that these documents have been disclosed already and are in the domain of the litigation, whether in writing or orally, shall be held in confidence by the parties and shall be used solely for the purposes of the Mediation. Any communication by or through the Mediator before the commencement of the Mediation or after its termination shall, unless expressly agreed in writing by the Parties, be subject to the same confidentiality provisions as set out in this Agreement. Either of the Parties or the Mediator shall be entitled, in their absolute discretion, to terminate the mediation at any time without giving a reason. they have carried out all necessary checks as recommended by the Law Society and/or the Bar Council to verify their clients’ identity. advised their clients of the obligations of disclosure on the part of legal advisors and/or mediators under the Proceeds of Crime Act 2002 (POCA). The parties warrant that attend the mediation in good faith to try and negotiate a settlement of the Dispute and that they or their representatives have full authority to negotiate and conlegallyleglalay binding settlment. This agreement is to be signed by the instructed legal representative of each party attending the Mediation (if represented) on behalf of that party. A party's legal representative is liable for the fees of the Mediation in the same way as they are liable for disbursements incurred in the course of litigation.